Restaurant-goers rejoice: if you dine-out in Silicon Valley, more inspection information is coming soon to help you make more informed choices about where to eat. Tuesday, the Board of Supervisors approved a motion requiring Department of Environmental Health to transcribe all health inspectors’ notes on its website, so consumers can view specific violations and better understand reports. The motion also requires the department evaluate potential scoring and placarding options which the health department will present to the board later this year. It comes after an NBC Bay Area investigation exposed Santa Clara County’s restaurant inspection system was not holding restaurants accountable to the public. To view the original report, click here. The investigation exposed that the county does not require restaurants post an inspection report on location and that the information online is confusing, providing only definitions of health codes and not stating the nature of violations. “If you look at the report, nowhere does it say ‘violation’,” District 5 Supervisor Joe Simitian commented at the board meeting, referring to on an online restaurant report he printed from the county website. Supervisor Simitian spoke with NBC Bay Area about the need for enhanced transparency after the first investigation aired. To view that report, click here. Tuesday, the health department presented options of online improvement to the supervisors, who determined the department will begin transcribing word for word, inspectors’ notes to publish on the website immediately. It’s in lieu of a more modern electronic system to post inspection reports, which they plan to implement over the next year. To view the proposed changes click here. 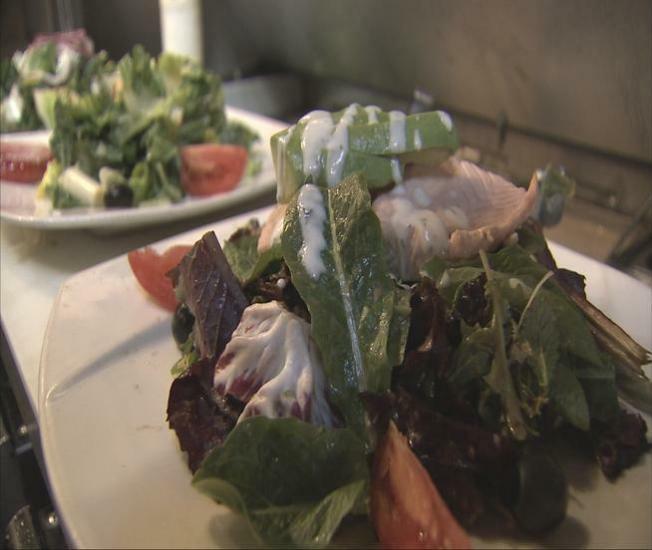 “Our goal in the county is to hold restaurants accountable,” Heather Forshey with the health department told NBC Bay Area. “What we do hope to do is take our wonderful program to a new level and create an electronic system which will make the information more readily available to the public in about a year." “Is there any sort of shorthand way for people to make an assessment of the relative cleanliness and healthiness of a particular location as compared to another?” Simitian asked at the meeting. Which is why the board also mandated the department form a group of restaurant experts to explore potential for placarding or scoring restaurants on site or online. “At the end of the day what we’re looking for is to make it easy for the public to look on the phone, look somewhere to evaluate this restaurant versus that restaurant,” District 1 Supervisor Mike Wasserman commented. NBC Bay Area’s investigation also exposed restaurants ignoring a state law that requires they show consumers a copy of the most recent inspection report if asked. Nine out of ten restaurants NBC’s undercover team went into were not able to produce the report. Simitian proposed the health department also explore possibilities for penalties for restaurants failing to provide the report. “I think we can make this simple I think we can give people the information they need to make informed choices and to give the restaurants some incentives to get it done right,” Simitian told NBC Bay Area in a sit down interview. He told the Investigative Unit he is cautiously optimistic about getting some form of scoring in place and is encouraged by the support of his colleagues but said he expects detailed and feasible options for restaurant scoring from the department come their next meeting.